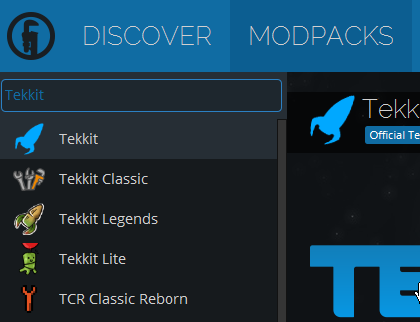 Was Tekkit Lite deleted from the launcher? Today I wanted to play tekkit lite but it wasn't available anymore! Yesterday it worked. hi guys, I wanted to know why the techinic modspacks gets offiline, because I wanted to download a mod so I do not know what to do. I tried to run by adiminitrator. I wanted to know if I could resoulver this people. I used to ("USED TO") have a modpack I spent countless hours working on. I logged in today to make an update. Says the page is error 404: I go to my dashboard: NO MODPACKS. Where the hell is it? Why did it get removed?! I didn't even get any norification. This better be a joke. I placed a few chickens in a single player world, they started breeding, and before long, literally TWO THOUSAND OF THEM have spawned. I can't even get near the horde without massive slowdown, so killing them all isn't really an option. I tried doMobSpawning false, t/killallmobs, t/killchicken, t/butcher, whatever and nothing has worked. Is this part of some obscure hexxit mod, or just a glitch? Any help would be greatly appreciated because I can't even build on my world without being like a 100 blocks away. how do I update,i cant join the server.